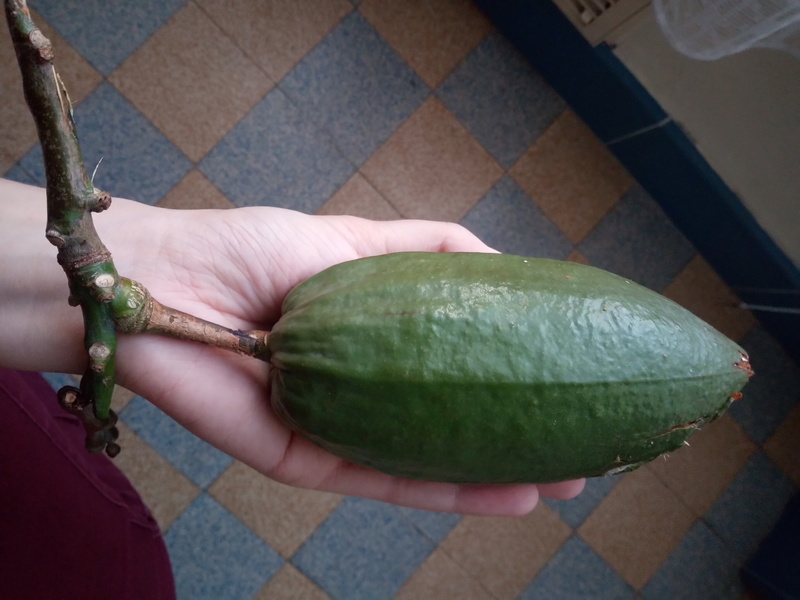 I found this fruit in the South of France, but I have no Idea what it is. It's a green, hard fruit. 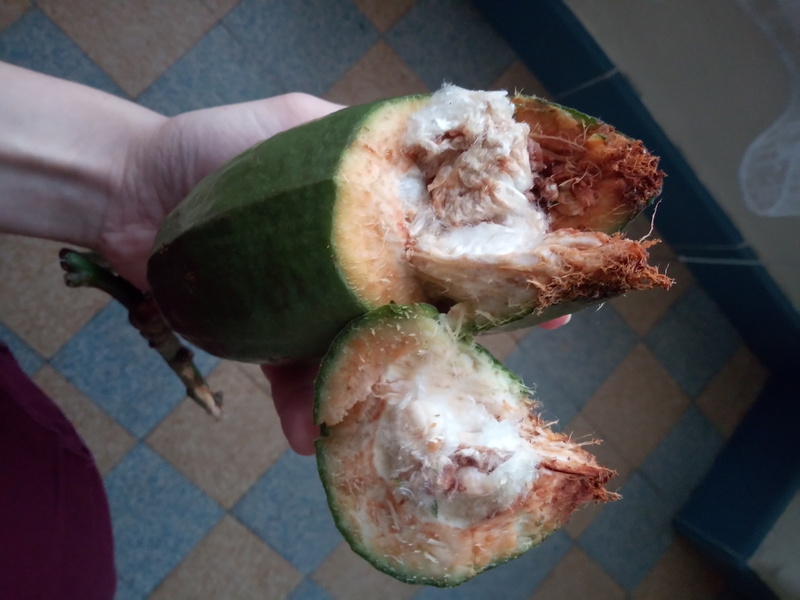 I tried to cut it to see the inside (on the following pictures). It fell from a big tree, but I don't remember much information about it. Are small peppers inside others twins?